IMMACULATE home! Original owners. 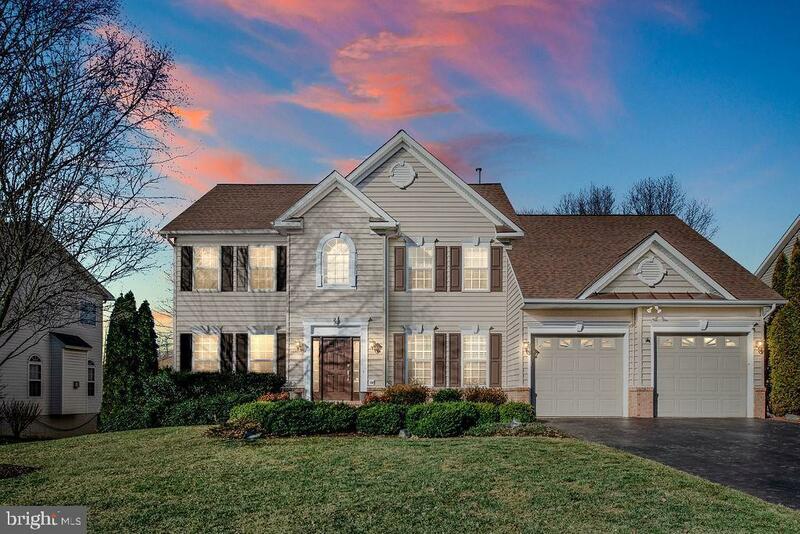 Enjoy Stafford living, close to schools, minutes to commuting options, and a few miles to I-95 to head north to DC or south to Richmond for work, shopping, and entertainment. Entry level has large kitchen with double ovens and large cooktop island, family and dining rooms plus a main level office. Kitchen door opens to deck, overlooking trees and level, fenced backyard. Family room has bay windows, gas fireplace, remote ceiling fan. Upstairs Master BR has huge walk-in closets! Master Bathroom has soaking, jetted tub and separate shower, dual vanities, and separate toilet room. All bedrooms have ceiling fans. Finished basement offers rec room (another ceiling fan), laundry room, full bathroom, and an extra room with walk-in closet for additional bedroom, craft room, office or workout space. Walkout to patio on lower level. Head upstairs to the deck, which includes Bose speakers to carry the party outside! Fenced yard with inground sprinkler system. New roof, gutters, and downspouts. So well maintained, no repairs needed. Move in and enjoy! Directions: I-95 to Courthouse Rd/Rte 630 (exit 140), Right on Walpole, Right on Easter.